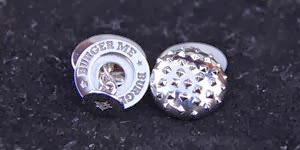 Burger Me! 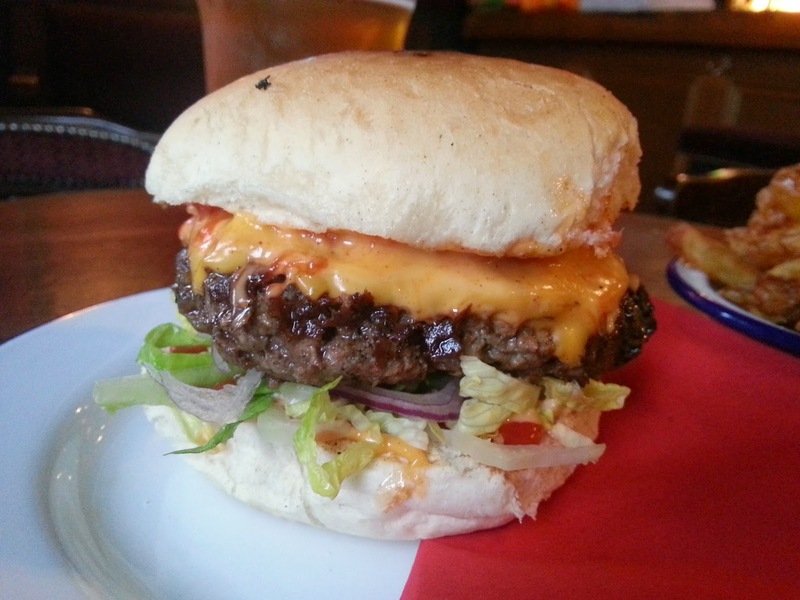 A London Burger Blog: [Review] Original Fry Up Material burger at Three Compasses Dalston. 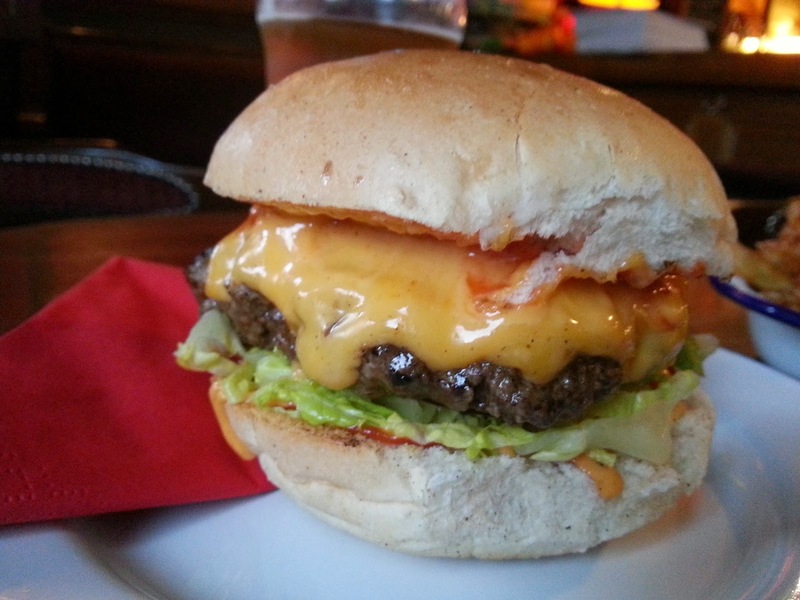 [Review] Original Fry Up Material burger at Three Compasses Dalston. Original Fry Up Material, OFM for short, are doing some seriously good things with burgers. Known for their mobile street food ambulance, and for serving some of the most banging breakfasts (not to mention sausage and egg muffins) London has to offer, they've been around since the end of 2012. Simple. 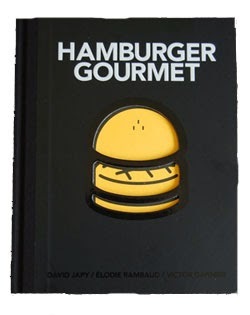 The burger comes plated, lid-on. It's neatly proportioned and smells fantastic. Meat Win. 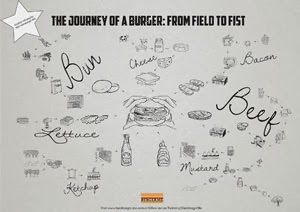 The ground beef in the OFM burger is a proprietary blend of grass-fed, aged chuck and short rib from rare breed cattle. 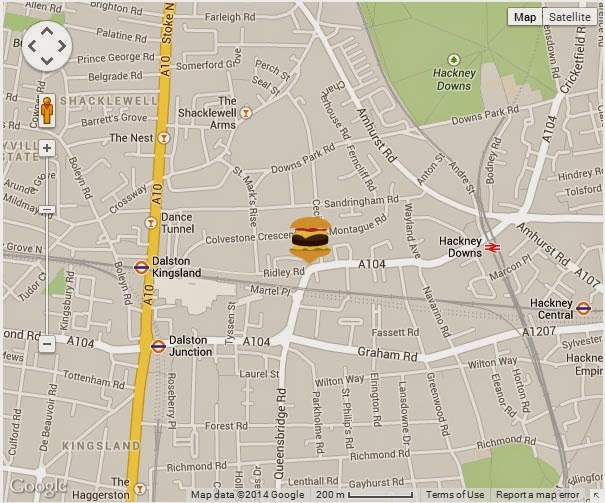 They're sourced by the most excellent team at Flock and Herd in Peckham, and the quality shines through in the patties. There's a very decent caramelised crust around the outside, and the seasoning is perfectly balanced. 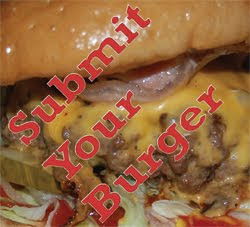 Mine was cooked just beyond medium but for once I didn't mind - it's a phenomenally juicy and flavoursome burger patty. The OFM burger bun is a semi-sweet soft white roll - a rarity in our brioche and semi-brioche dominated London burger scene - but it's a good one. It's unglazed and toasted, the base of mine was slightly over toasted, but that didn't affect the overall quality. It's a custom bun (source secret) built specially for this burger and it works really well, squashing down beautifully around the patty. 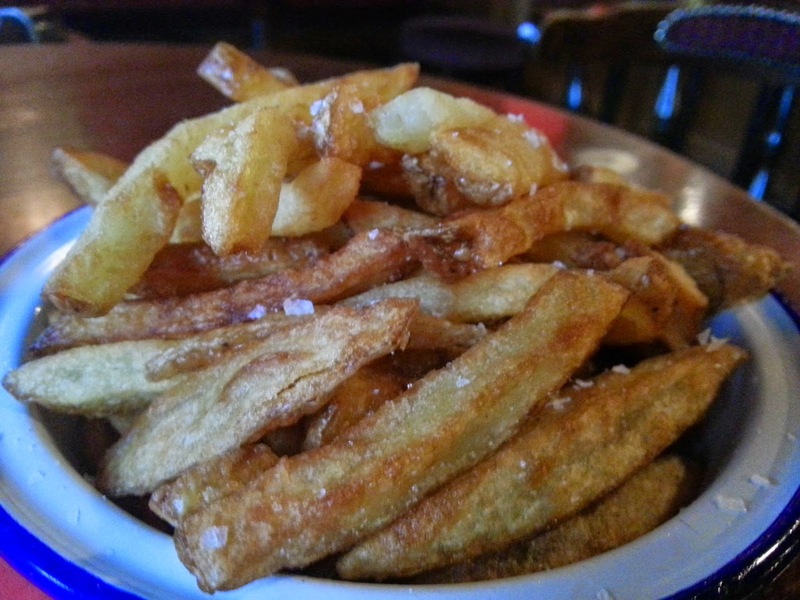 Skin on fries are hand cut and sea salted, served in an enamel bowl. 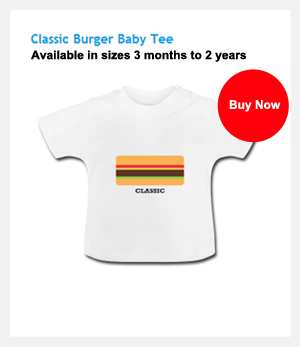 They're decent quality and great value for £2.50. I REALLY enjoyed this burger. 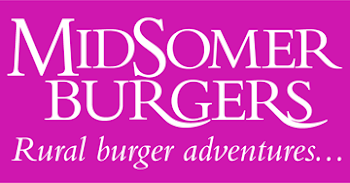 There are a couple of niggles - the lack of pink in the patty, the over-toasted bottom bun - but I really didn't care because the burger tastes so frickin' good. It's the closest thing I've come to a burger replicating a Big Mac in London, aside from the Fred Smith 'Big Boy' one off special.This burger is a Good Thing. 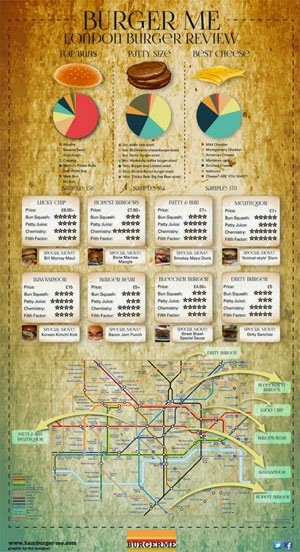 The Three Compasses pub, where they're based, also serves a decent range of beers, including 5 Points and London Fields, so once you've had your burger you can settle in for a couple of pints. 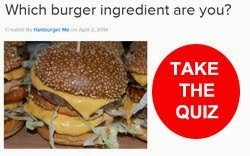 And probably another burger. 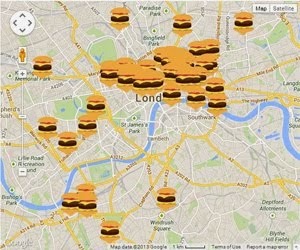 Find all the best burgers in London with my Interactive London Burger Map. Nice one, I must try it.